1. Phone the Local Police. The first thing that you should do when your vehicle has been damaged and you have reason to believe it was a robbery or vandalism is to call the police. You need to file an official report, which will also need to be provided to your insurance company for insurance claim purposes. 2. Call Your Insurance Agent. No matter what time of day or night the damage occurs, you need to phone your independent insurance agent or insurance company to inform them of the damage. Under most circumstances, especially if you have full comprehensive coverage, the damage to the auto glass and body will be covered by your policy. However, you will probably have to pay a deductible. 3. Secure Your Personal Information. Contact your bank and put a hold on your account. Call and cancel any and all credit cards. Replace legal documents, such as Social Security card, driver's license, etc., as soon as possible. Phone your identity protection provider, if you have one. 4. Replace Your Auto Glass ASAP! If your car has its windshield or a window broken out, even if it is a side window, it is extremely dangerous to drive your vehicle on the road like this. The insurance company may tell you that it can wait, but it really shouldn't. You need to consult with an auto glass replacement company in the Twin Cities area, such as Only 1 Auto Glass, immediately. Your insurance company won't give you money upfront to cover this expense, but you can save your estimates and receipts to provide to them, along with the report from the police, so that they can reimburse you. 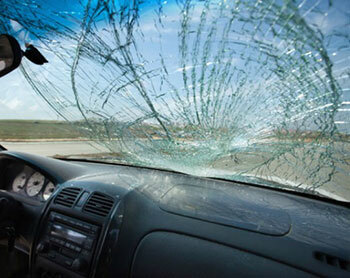 If you find yourself needing emergency auto glass repair in Minnesota, give Only 1 Auto Glass a call immediately. If you don't have an emergency, give us a call for a quote anyway! We want to make sure that you and your passengers are safe while driving your vehicle on the road, and one way to do that is to ensure your auto glass has not lost its structural integrity.